Remember the whole iOS Maps fiasco a while back? With the introduction of iOS 5, Apple opted for an in-house mapping solution, ditching Google's long-standing platform altogether. Unfortunately, it sucked. It sucked enough that in a gesture not akin to Apple, CEO Tim Cook took to the press and apologized for the way iOS Maps turned out and suggested that, for the time being, users could look elsewhere for better offerings. With this now far behind, Apple seems to be doing some serious work on improving its fledgling mapping service. In fact, just a while back we brought your attention to the fact that Apple has been awarded a patent describing a crowd-sourced navigation solution, much alike Waze's. Apple, apparently, isn't done, however, for information got out earlier today that Cupertino has acquired Canadian Locationary. In case the name doesn't ring any bells – Locationary is a crowd-sourced location data company that focuses on local business listings. Crowd-sourcing in map-related solution has been a hot niche lately, and that's likely because the task is daunting, to say the least – establishing, and then curating a massive database of locations throughout the world would require too great a workforce and will still end up with a sizable amount of discrepancies. 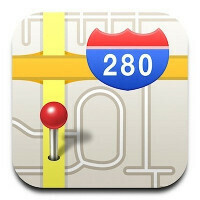 Could we see the tech giant spicing up things for Maps in iOS7? We don't know. We sure like the prospect, though. Well, i hope it's not accident-iary and loss-inary. The list of mistakes Apple made on their mapping service are painful. A small start up company such as Waze - when they're not yet bought by Google - can make them crumble. Nokia's Here can surely put Apple's mapping solution on shame.